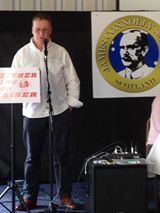 Below is the text of speech Gary O’Shea, a founding member of Anti Fascist Action, delivered at Connolly Conference 2014. 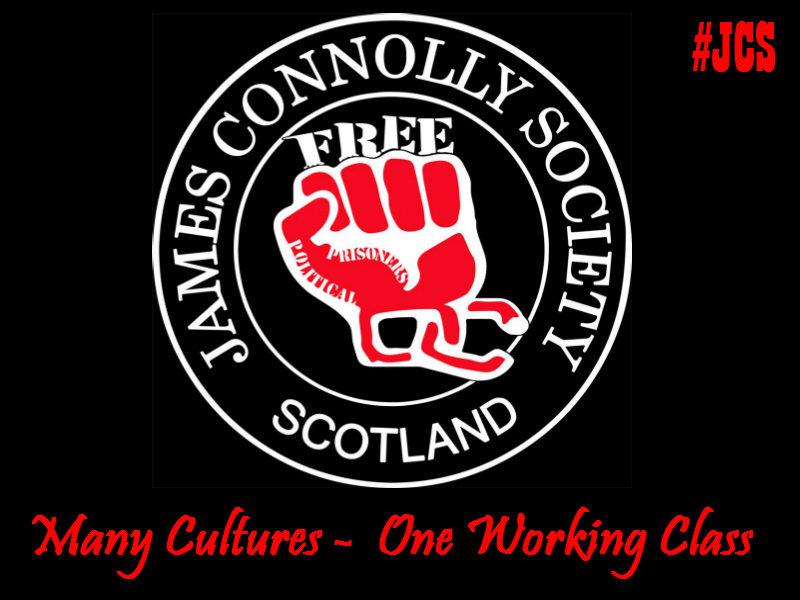 Gary O’Shea, founding member of Anti Fascist Action speaking at Connolly Conference 2014. In 1871 when the National Guard was set up by the Paris Commune it struck Karl Marx immediately that he was witness to nothing less than the structure of the future workers state. In other words the state would be built on the same lines as the workers militia – democratically from the bottom up. It was a Eureka moment. “The form at last discovered” as Marx put it and just as importantly as far as he was concerned discovered by the working class itself. So why a century and half later does the notion of the working class as the ruling class sound like an absurd anachronism? Well, because quite a lot has happened in the interim; not a lot of it good. Paradoxically, it was the coming of power of the communists in 1917, that put paid to the Marx’s concept of a workers state. For in the process of establishing what they called the dictatorship of the proletariat, the Bolsheviks consolidated power for itself only, and so hobbled future generations of working class activists across the world with the automatic association of communism with one party minority rule. Thereafter the general understanding was that you couldn’t have one without the other. And over the next 70 years, though they and their successors internationally might have overseen the destruction of their opponents by the million the idea of the working class as the ruling class was what they murdered first. Social-democracy meanwhile which had more or less bottled it when confronted by the rise of fascism, especially when and where it mattered, recovered their courage post war and became the go to guys across Europe. And although it might have been Churchill who warned: ‘either we give them [the working class] social reform or they give us social revolution’ it fell to Labour to provide us with the welfare state. And it cannot be denied that for the next 30 years social democracy did make incremental advances, most markedly in terms of social housing, healthcare, comprehensive education and legal aid. As a consequence when the economy first tanked in early 70’s there was loose talk of a revolution proper. And in response having done as much as anyone to give the rumours credibility, elements within the security services along with certain right wing pundits and the odd general responded, with a certain relish you imagine, began semi-openly discussing the plausibility of a coup. Chile which had recently seen a democratically elected government taken out by the army was looked to as the model. Ultimately instead of a counter-revolution they opted instead for something far more insidious – neo-liberalism. Rather than dealing with social democracy militarily they decided to neuter it philosophically. And what a devastating weapon it has proved. Instead of killing off their social democrat opponents they have co-opted them. Just twenty years later Blair’s dismantling of Clause Four would rob Labour of its historic reason for being. For the more discerning, the writing had been on the wall with the defeat of the miners and Labour’s role in it a decade earlier, while the rolling back of the gains post war began as early with the election of Thatcher in 1979. But for me, it was the defeat of the strikers at Grunwicks in north London that really laid the ground for what would happen next. Here we had a tiny sweat shop with a largely Asian female workforce. Conditions were humiliating and so the women struck for union recognition. Their struggle caught the imagination of the entire trade union movement. Moreover the task appeared straightforward. Close the factory and force management to concede. Nothing less than a matter of principle. Every morning as early as 6.30 as the first scabs were bused in, the narrow streets of Willesden bulged with trade unionists trying to stop them. Hundreds of police fought just as hard to keep the gates open. And when I say fought, I mean literally. Long before most people have breakfast coppers helmets flying through the air was a surreal but not uncommon sight. Victory seemed inevitable. But it was not to be. In fact I think I can put a precise finger on the moment when the battle was lost. I was on Dudden Hill Lane at about 9.30am when a skirmish broke out between strike supporters and police. There were scuffles with stones and bottles being thrown. I was just about to contribute myself when a mounted policeman appeared between the lines to be greeted by a volley of missiles. Suddenly, this enormous horse seemed to stumble, flip over, and go down. And stay down. Whether it was out of humanitarian or equine concern, us would be missiles throwers stopped and gaped. As the rider soothed the stricken animal none of us had the stomach to take advantage of the situation. Momentum was lost. As we turned away a fellow skirmisher muttered “I’ve seen them do that before” as he passed. If he was right we had fallen victim to a clever ruse. I realised then that something significant had happened and the strike was probably lost. And our side have been losing ground ever since. 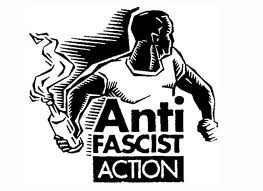 In the mid-90’s when militant anti-fascism surveyed the landscape it came to a number of prescient conclusions. With Labour intent on selling its social democrat soul there would be profound consequences for itself and everyone else. Less obviously AFA concluded it would be the far-right, then in the shape of the BNP, and not the ‘Tiny Trots’ though it was realised they would be forced to try, (indeed they would spend millions of pounds in the effort) who would be the beneficiaries of Labour’s ideological decomposition. And sure enough once the BNP got going, electoral progress was indeed dramatic; from not a single councillor elected at the turn of the century to a million votes (in a 1/3 % turnout) by the Euro elections in 2008. One of the reasons the descent was almost as swift, was because until their cessation of violence, the BNP could simply not afford to carry ‘passengers’. For the march and grow strategy to work it was required of everyone to be a ‘street soldier’. By definition this meant no middle class members, few women or anyone over 40. Even then it might have been alright if they were winning on the streets but attrition there led toward a membership that tended toward the transient. Add to these destabilising factors an accelerated elevation – moving in a political heartbeat from organising Blood & Honour gigs in some place like Deptford to having members in the European Parliament and there simply was no time to nurture a proper infrastructure or the mature middle management to run it. As a result of success coming so suddenly, when serious pressure in the shape of the media and state was applied they were pulled hither and thither, diced and sliced. However before we break out the champagne it would be prudent to note that roughly 80% of the BNP vote folded effortlessly into that of UKIP in 2014. Now while UKIP is not fascist in the traditional sense it does not appear to have too many scruples either. Unsurprisingly following his time in the City Farage is adept at ferreting out ‘markets and opportunities’ as he puts it. The BNP showed how the right could prosper in traditionally blue collar Labour areas and in a very specific way UKIP is picking up from where the BNP left off. More than anything it is this market Farage has targeted. But while currently riding two horses, sooner rather than later they will be faced with a choice. Simply in order to maintain momentum they will likely be forced to become more and more socially radical (note how the Thatcherite plans such as the proposed charge for visiting your GP has been quietly jettisoned) to the point where they morph into an authentic far-right party after the European model. So far, so bad you may think. But worse, should they at any stage baulk, then the millions that voted for them will return to the electoral fold, emboldened, radicalised and politically laundered, meaning that through sheer volume alone will become respectable. And feared. So what of progressive alternatives? 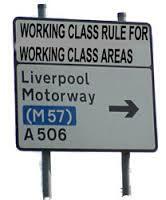 In 2002, when the IWCA first contested elections, it did so under the slogan ‘Working class rule in working class areas’. It was regarded by us as an interim measure. For us to fail to aim to be the dominant force in your own neighbourhoods would be akin to calling for Scottish independence without benefit of a Scottish membership while at the same time shunning any active engagement with the population in Scotland. But because the Left don’t see the working class as an agent of change, the combination of ‘working class and rule’ appeared to be a genuine challenge for them for years afterwards. Of all the lessons learned from the IWCA experiment (which in its purest form existed from 2002 to 2006) the most significant is this: taking seats from the mainstream parties is ridiculously easy. At street level, brand loyalty is literally zero. That a group the size of the IWCA, could take four seats and come near to winning as many more, is proof of that. That is not to say that it wasn’t hard work. It is, but that is mostly down to resources or rather lack of them. It needs to be remembered that at all times we were competing against national parties from a tiny base. One such under-resourced branch was in Glasgow. In 2003 it decided to contest a council by-election in the Strathbungo ward. In doing so it was taking on no less than six national parties (if you include the SSP then in their pomp). The IWCA candidate came in third in a tight field with just under 500 votes – about 75% of the successful Labour incumbent. And when I say branch we are not talking about dozens and dozens or enthusiasts, either but one or two key activists. In Oxford where the IWCA actually took seats the ratio of activists to candidates were better but not by much. If there is a secret (though it is hardly that) it is working with the working class in pursuit of what they perceive as their immediate interests. Through adopting this approach the zone of influence of the branch can increase a hundred fold overnight; whether you are fighting against a £25 million pound gentrification scheme in Islington, a mugging epidemic in Birmingham or crack dealing in Oxford. In Oxford so rattled were the authorities, the police began to talk about the ‘human rights of crack dealers’ while Labour circulated the rumour that the IWCA Councillor who was a figurehead for the campaign, was in reality ‘a convicted drug dealer and all they are doing is getting rid of the competition!’ (Eventually they would blunder and put that type of scuttlebutt in print which would cost them a hefty five figure sum to settle). Elsewhere whether in inner city or ‘white flight’ suburbs in London, the median return was about 25% of the total vote. In 2006 when the IWCA competed in two neighbouring wards in south Islington there were audible gasps of astonishment from Labour Party apparatchiks at the 3,000 votes accrued. When compared to the performances they had become accustomed to from smaller parties to their left over half a century this type of return was simply jaw-dropping. ‘The method at last discovered’? Discovery is only too strong a word because the previous history of failure is little short of perverse. That is not to say that everything is smooth and easy. Politics is a dirty business even at local level. The terrain is littered with traps and ambushes. Maintaining trust is critical. So for me the biggest danger comes in taking on the more ticklish campaigns, where there is say a direct adversary, is that you get ahead of yourself, and in your enthusiasm become the unwitting vanguard, which instantly alters the previous relationship from that of a partnership with the class locally to working for them. Self-evidently working for them means you are working without them. And working without them means that you either derail or can be presented by opponents as working against them. And it appears we are not done with that formula yet. On Monday just this week a headline caught my eye. “RMT chief plots new party for the Left”. Over the last 20 years there must have been at least a dozen similar ‘unity’ projects: each and every one of them without exception, an abject failure. But lessons learned? Not a one. The reasons are numerous but the principle flaw is that starting with the Socialist Labour Party and the Socialist Alliance these were all projects where the concerns of left itself had primacy. Think of the headline: ‘New party for the Left’. For is the operative term. This suggests they are again set on deciding what they want to be before deciding what they want to do. And worse what they want to do is and I quote, to “look after working people”. This is the language of someone setting up a charitable institution not a fighting party determined to see the working class fulfil its historic destiny. As a consequence of this recidivism the working class is left without a voice but the Left for the first time is without even recognisable icons. That we are talking here of the likes of Hatton, Livingstone and Sheridan here whereas a century earlier it might have been Gramsci, Luxemburg and Connolly is a useful gauge of just how far standards have slipped and how much ground there is to make up. Meanwhile in the absence of an organised opposition neo-liberalism is making hay not just here but worldwide. Today’s America, our neo-liberal cousin, is as unequal as the Rome of Marcus Licinius Crassus. Britain is probably only marginally better. But not happy with that, the elite and their advisors are looking adoringly at places like Singapore and even lately Beijing where as they see it, efficient governance can be delivered without the nuisance value of population involvement, other than as consumers. When it is understood that this is their model, the aggressive pushing via lobbying and unelected quangos to privatise politics altogether and thus finish the job on home turf is perfectly understandable. They are seizing the opportunity and going for broke. In that there is a lesson for us. Rather than meekly protest, or come up with, what are at best half measures, the truest response is to declare that if they want to privatise politics then the democratisation of the economy is the only worthwhile response. Because once such a goal is boldly declared what will be required at a street, estate and neighbourhood level will immediately become obvious. The democratic end will determine the democratic means. Just as in 1871 majority working class rule and democracy are indivisible. You lose faith in one you lose hope in the other. Where a nominally democratic system is tailored to prevent the majority getting to their destination it is little better than a decorative façade. Today in too many countries across Europe the opposition to the elite is seen to come from the populist and euro-nationalist right. Not a happy or healthy place I’m sure you’ll agree. Not to be too pessimistic but either the 21st century finally begins to see the promise of the Commune realised or just one more economic blip could be enough to shove us for second time in under a hundred years to the edge of the abyss.